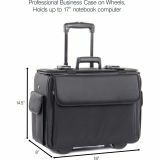 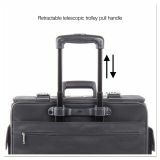 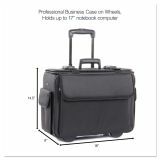 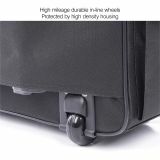 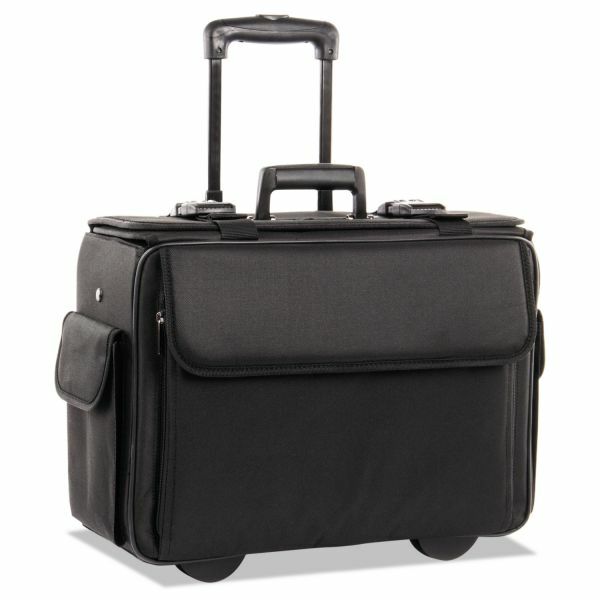 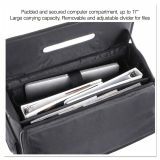 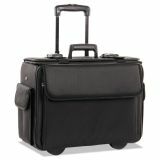 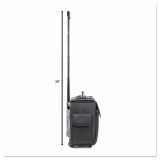 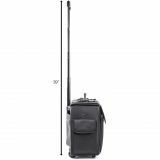 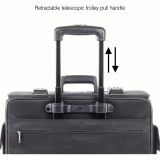 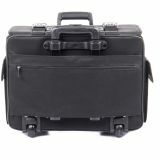 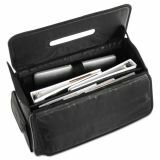 Catalog/Computer Case on Wheels, Nylon, 18 x 8 x 13, Black - Lightweight case provides a 40" locking telescoping handle. 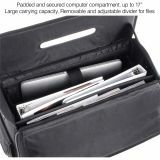 Removable adjustable computer compartment holds most 15.4" and 17" screen laptops. 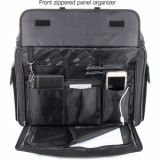 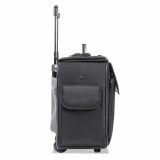 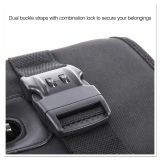 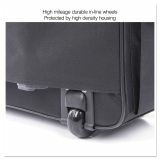 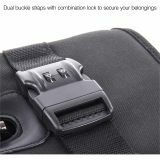 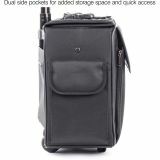 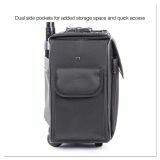 Case offers combination lock, front zip-down organizer under flap, exterior side pockets and easy-glide roller blade wheels. 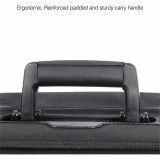 Padded bottom offers additional protection.